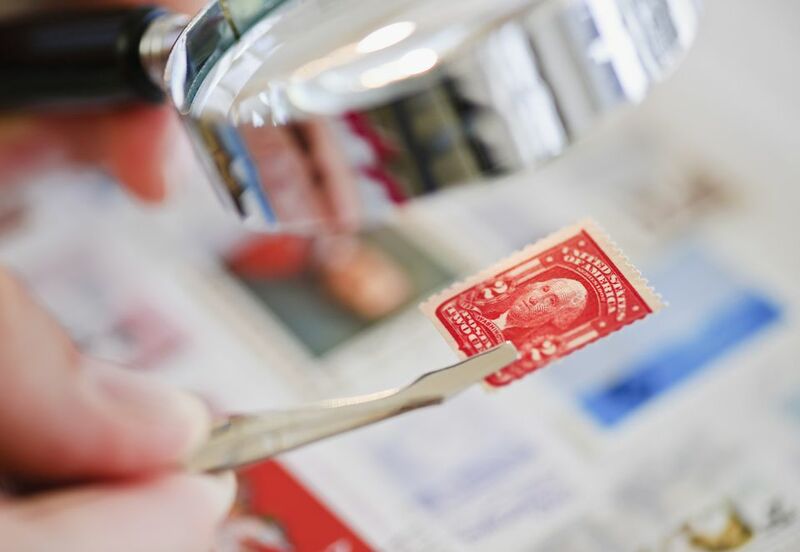 Do you really know the best way to care for your stamp collection? Always keep in mind that stamps are one of the most fragile collectibles. There are many ways to store a stamp collection and unfortunately, most are expensive. In these tough economic times many are going the DIY route and perhaps you, the stamp collector, can take advantage of alternate methods of storage and preservation. While there are many fine albums available, the simple fact is that many collectors don't put their stamps in them. At this point in time, the expense of a quality album and the mounts one needs to display mint stamps in the album can take a big chunk out of one's budget. The plastic mounts alone often cost more than the stamps you put in them are worth. There is also a greater sense of investing today that even the collector senses. He doesn't necessarily buy stamps to display in an album. But he does want access to them for his enjoyment while being confident that his stamps are well stored. All stamp collectors have experienced that heartsick moment when they open a mint sheet file or supposedly safe album to find that the enemy -- dampness, insects, etc. -- have wrecked a portion of their collection. The minimum you must have is a manila paged stock book or pages. But beware -- the pockets are thicker than a stock book with plastic pockets and can easily bend your stamp slightly and leave a mark, particularly on the gum. Save your manilas for used stamps. Individual pages that can be put in a plain binder with plastic pockets have the advantage of not having the separation that the back of mounts feature which, while offering ease of entry and exit for your stamp can also leave a horizontal line across the back of your stamp. Although not as great a concern for self-stick stamps, earlier gummed stamps can lose a significant part of their value from that simple gum disturbance. There are some fine plastic pocket stock books that present a more pleasing view on a shelf, although most of this line of book tops out at about twenty pages making the necessity of buying multiple books restrictive from a financial point of view. If you go for this type of book, go with the white page version, not black, as the white will show any creeping climate damage like mold and foxing immediately, while the black pages serve to mask the problem. For those who take great pride in the presentation of their stamp collecting and enjoy showing it off to friends and associates, the fancier albums are the way to go, of course. For a smaller collection, a few binders and pages might be had for a few hundred dollars if hinges are included on the pages. But for those that collect multiple countries, the outlay for albums can be significant. Current wisdom for self-stick stamps says that to be considered proper mint stamps they have to be saved on their original backing paper. This creates problems -- and expense -- for collectors as the USPS will not sell a single stamp from a sheet of self-adhesives. If the collector isn't willing to buy an entire sheet of the stamp he desires, he may be forced to buy the stamps on the secondary market, from a stamp dealer. This wouldn't be such a terrible thing if it were only one or two stamps, but for the serious collector of U.S. stamps, the expense can be significant. Speaking of expense, manila stock pages are not recommended for self-adhesives. With the stamp and the backing paper's combined thickness, the pages pocket edges have the potential to leave a crease on the stamp. Perhaps the only way to go in this case is to buy plastic mounts to put the stamps in if you plan on displaying them. If not, trusty old glassine envelopes and a sturdy storage box in a dry environment is the solution. Why Does a Dealer Say First Day Covers Are Worthless?